My current quilt project reached a stopping point while I waited for some fabric to be shipped, so I got a jump start on the next quilt. 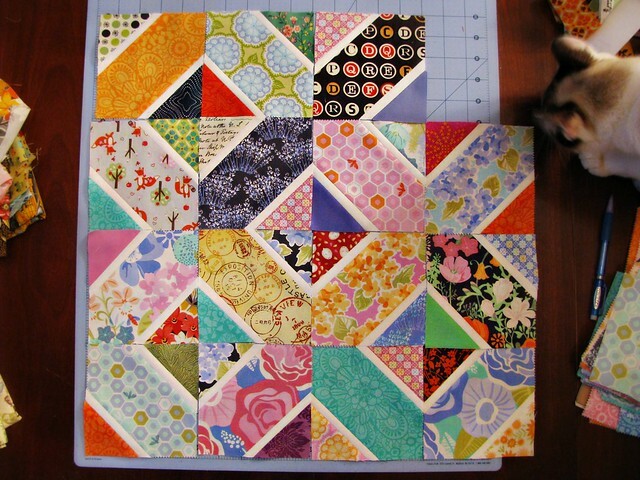 It’ll be mostly Honey Honey fabrics with some scrappy favorites thrown in. So far — LOVE!